Throughout this year, the museum newsletter will be providing glimpses into the back story on the City’s Incorporation, history and development. Early barber shops in Courtenay also served as bath houses. In the 1914 Courtenay Review newspaper, the “Comox Barber Shop” listed itself as the oldest shop in Courtenay and provided bathing facilities. Bill Sutliff’s “Courtenay Barber Shop” located on 5th Street between Duncan and Cliffe Avenues also offered use of a tub right up into the 1920s. The 1700 sq. 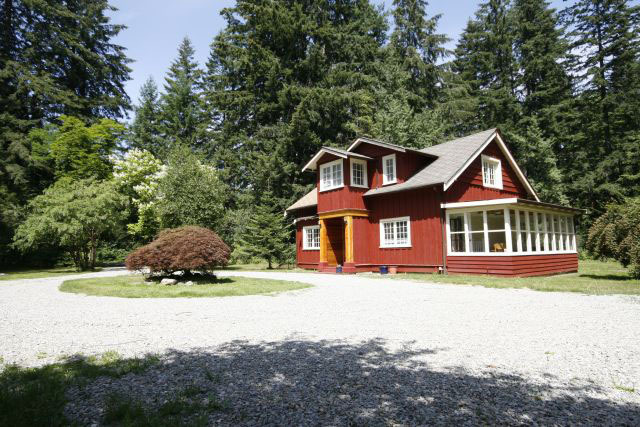 ft., 1930s heritage home is part of the Courtenay and District Museum visitor services. The Capes home, situated on seven acres of forested land on Cumberland Road, was donated to the museum by the late Katherine Capes. Located approximately 4 km from Highway 19, Capes Escape is only minutes from downtown Courtenay and Cumberland. Summer bookings are in full swing but there are still some openings in August and the first week of September if you are looking for a “home away from home” for yourself or visiting guests. Summer traffic is busy in the gift shop and gifts are going all over the world. People visiting from other parts of Canada, Europe and the Pacific stop in and pick up gifts to take home. Local residents visit to find items for family and friends. 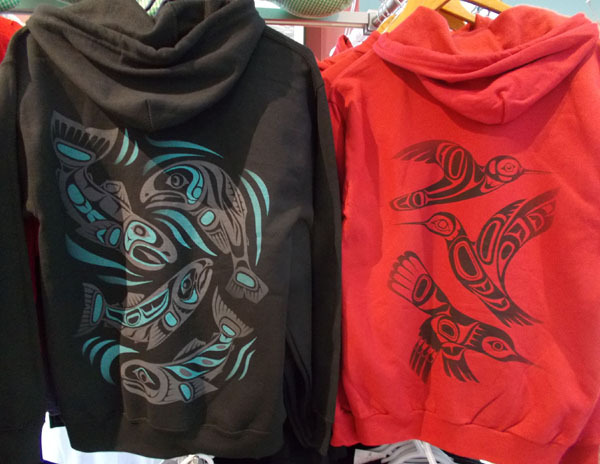 We have new shipments of beautiful hoodies for late summer with great hummingbird and salmon designs. We’re also carrying a new line of cards and note pads from Yellow Bird, designed and distributed from North Vancouver. To add to our stuffed animal zoo, we’ve gone local with a huge ammonite and giant hippo made by Ding Ding Dillio Crafts from Courtenay. Another local company, Giggling Gertie and Co from Royston, has created bunting perfect for celebrations and decoration and has produced rustic beach-hut bird houses and one of a kind gifts. The museum will be closed on Monday, August 3rd. Wishing everyone a safe and happy BC Day holiday. 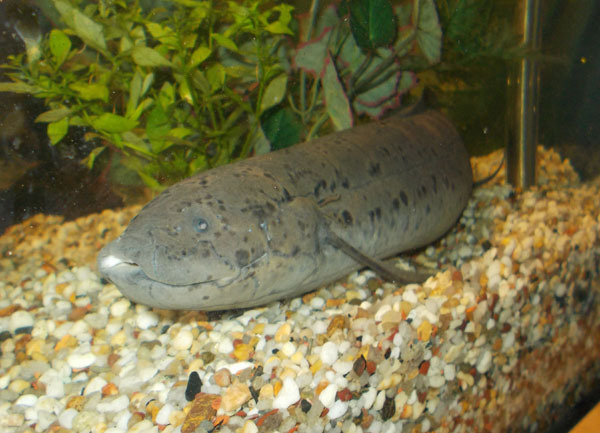 The next time you visit the museum, meet our new African lungfish, Slugzilla, and his friends, Darth the algae eater, and Doodah the goldfish. We, students and the public, all missed Pam so much, we searched for a new African lungfish. Slug and his two friends were kindly donated to the museum by James Stanley from Calgary. All three of them were sent here on WestJet and have settled very well into their new home. The children’s Summer Day Camps are well underway. Days are packed with games, arts and crafts, and making a new friend or two along the way! The kids have really enjoyed making dinosaur eggs and stegosaurus, but most of all they’ve enjoyed learning about dinosaurs and reptiles. Walking With Our Sisters is a memorial installation that honours the more than 1,181 missing and murdered Indigenous women and girls in Canada and the United States. Comprised of over 1,763 pairs of moccasin tops plus 108 pairs of children’s tops, it was created by over 1,400 caring and concerned people to draw attention to this injustice. The Walking With Our Sisters K’ómoks Organizing Committee is honoured to bring this memorial to the K’ómoks Band Hall, 3320 Comox Road, Courtenay, BC. It is the first and only British Columbia venue for this international touring event. Open to the public, the event is free. 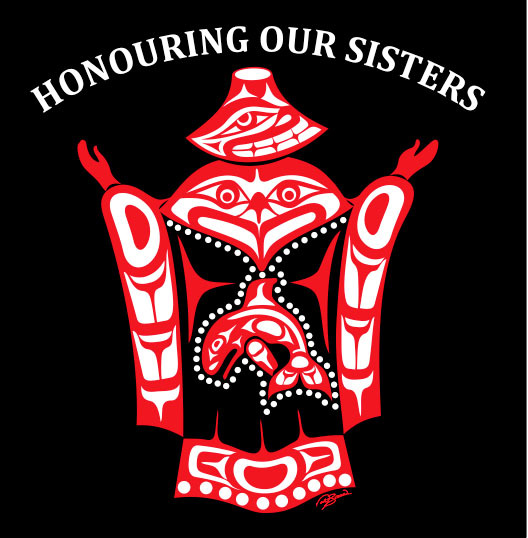 Please see the Walking With Our Sisters Comox Valley facebook page, for more information. Before the arrival of the installation, the Walking With Our Sisters K’ómoks Organizing Committee and the Sid Williams Theatre Society will present, “Beyond The Ceremonial Welcome”. Known as the Sayward Fire, the Bloedel Fire or the Great Fire of 1938, it was a blaze that went down in history. 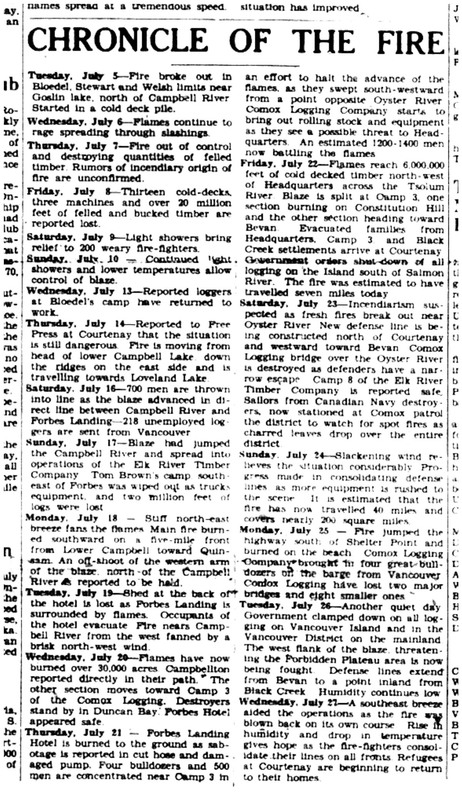 This article from the Comox District Free Press of July 28, 1938 provides a day-by-day account of the event that would end with approximately 30,000 hectares of forest destroyed. With legacy support from the Bickle Family and the Comox Valley Echo.